Heineken “0.0” is an alcohol-free (0.05%) pale lager, which is malty and fruity with cereal undertones. Find out how it’s made and what it tastes and smells like, plus ingredients and key nutritional info including calories, carbs and sugar. No, that’s not the from the mission statement of a trendy alcohol-free craft brewery. 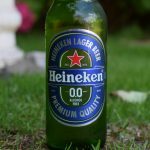 It’s the words Heineken, the world’s second largest beer corporation, which has just put £6 million into promoting its non-alcoholic lager, “0.0” in the UK. This leaves an alcohol content of less than 0.05% ABV. This is a trace amount and considerably lower than what you get naturally in many foods. 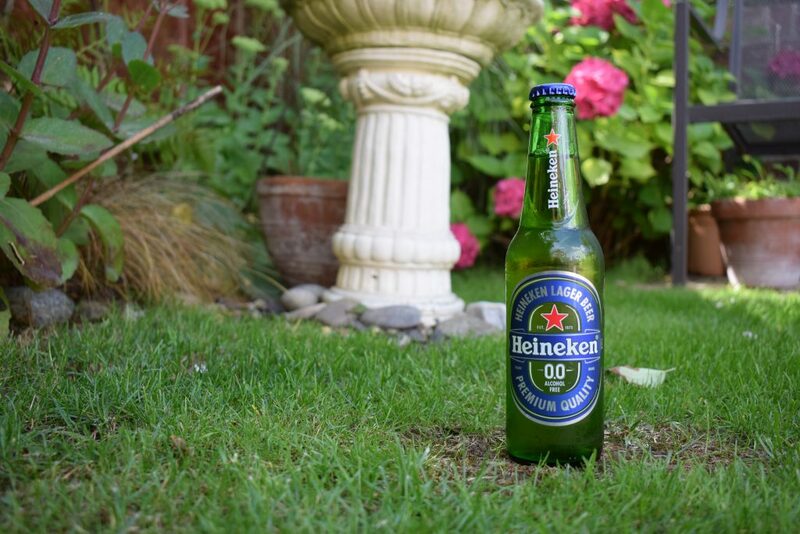 So Heineken 0.0 is almost completely alcohol-free. 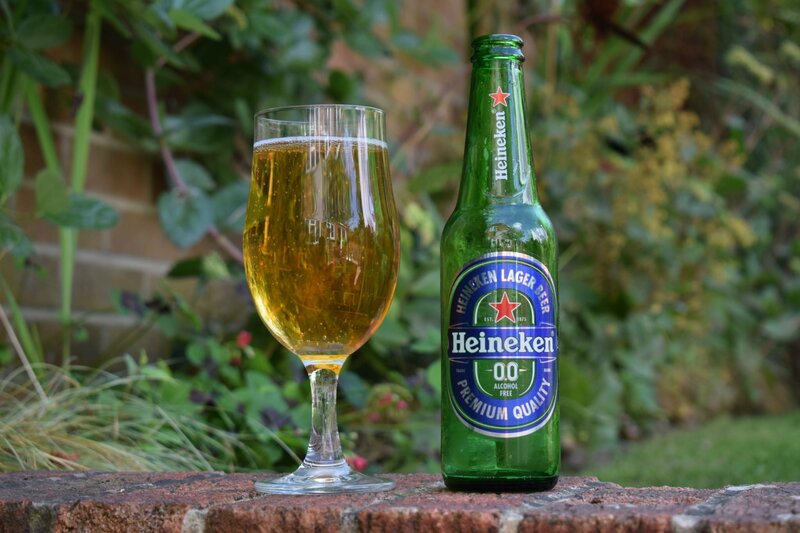 “Both beers are not nice – you need to blend them together to make a good beer” says Heineken brewmaster Willem van Waesberghe. The ingredients are also slightly different to the alcoholic version – 0.0 includes vague “natural flavourings” as well as hop extract, barley malt and water. Like its alcoholic relative, 0.0 pours a clear, golden amber colour. It generates a good head, but this soon disappears. The aroma is reminiscent of the full-strength version. It’s fresh, crisp, fruity and malty. In the mouth, there are some tight bubbles. It has a similar mouthfeel to a typical mass-produced pale lager but is a little syrupy, which gives it away as a non-alcoholic beer. It clings nicely to the side of glass as you drink it, creating a little lacing. Initially, the flavour is quite sharp – almost lip-puckering. But it gets more balanced the more you sip, with a decent mix of fruit and malt vying for your taste buds’ attention only marred slightly but some cereal flavour and a bit of a cardboardy aftertaste. The bitterness has the potential to overwhelm after a couple of slurps, but that too eases off balancing nicely with the fruit and malt. 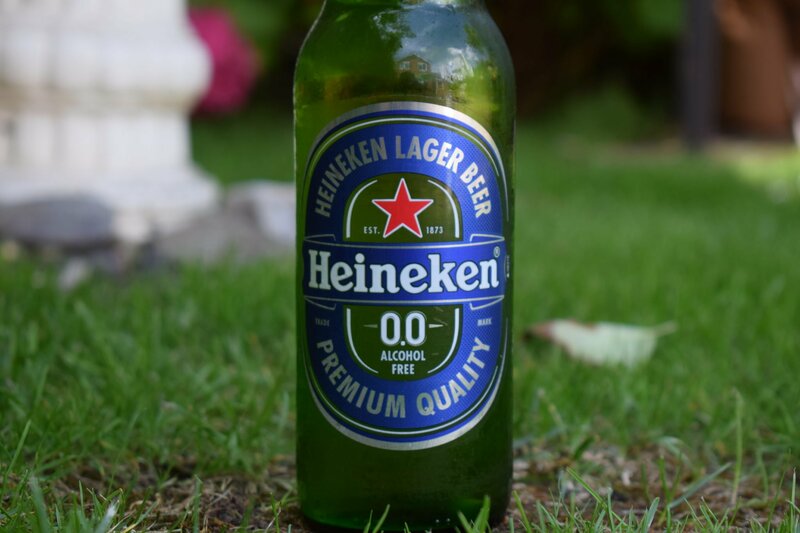 Hardened Heineken drinkers might be able to tell the difference between standard Heiny and 0.0, but I struggled. And, it’s not bad in the taste, aroma and body department either. If you’re looking for a non-alcoholic replacement for a lager like Heineken or Carlsberg, give 0.0 a try. However, if you’re hoping for something a little more interesting on the senses, best give it a miss and stick to something like Fitbeer (0.3%) or Sainsbury’s Low-Alcohol “Czech” pilsner (0.5%).